So we’re not doing it “INTERSCHOLASTIC” style any more. Back to our original themes of showcasing mixed talent! SIGN UP! (All talent must be between 13 and 20 years of age). 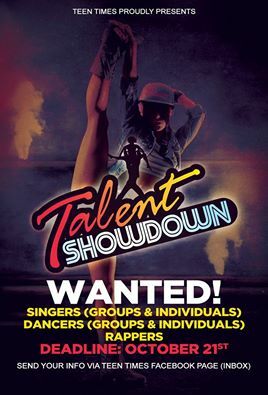 Be part of the BIGGEST talent event on St. Maarten and stay tuned for big surprises!